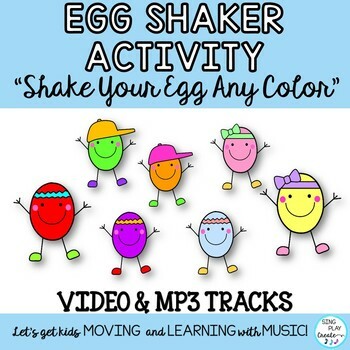 Move and groove with this fun "Shake Your Egg" Brain Break, Egg Shaker Activity Song that also teaches Colors. Perfect for Pre K-2nd grade. 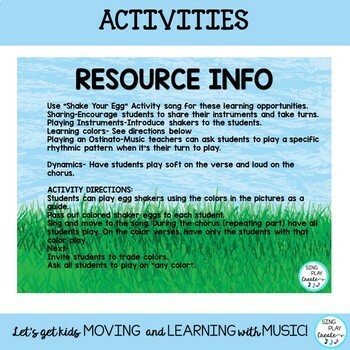 Use Instruments or plastic eggs during the activity and students will love it! Video for easy teaching. Please listen to the preview for music example. Teach Colors using the Coloring and Writing Printable. This activity would make a great SPEECH and SPECIAL NEEDS activity. 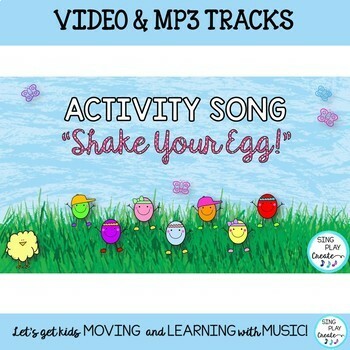 Students can sing the song while using colored eggs for fine motor skill development-and getting out the wiggles. Then do the coloring Egg activity! 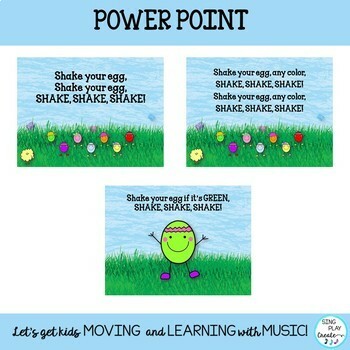 Students love to "shake" eggs...that is, maracas, egg shakers...even bean bags! Not just for EASTER! You can use this all year long.